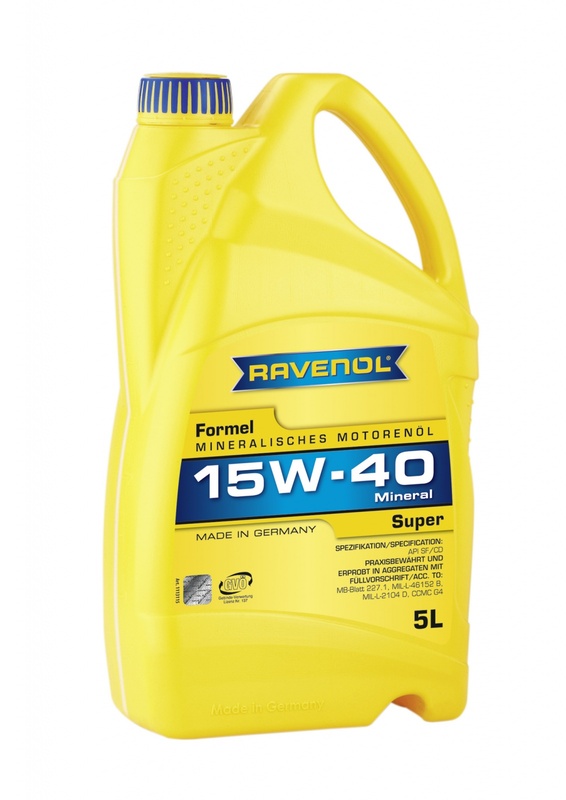 RAVENOL Formel Super 15W-40 is a high quality multi-grade mineral engine oil which corresponds to all requirements of petrol and diesel engines requiring this viscosity. It can be used in passenger cars as well as trucks and fulfils the requirements of diesel engines with or without supercharging whilst ensuring a high lubrication capacity under varying operational circumstances throughout the year. A top quality oil that is even being used in Formula-V race cars.